In Edinburgh our major planning application for redeveloping the Donaldson’s School site was approved just before Christmas 2015. 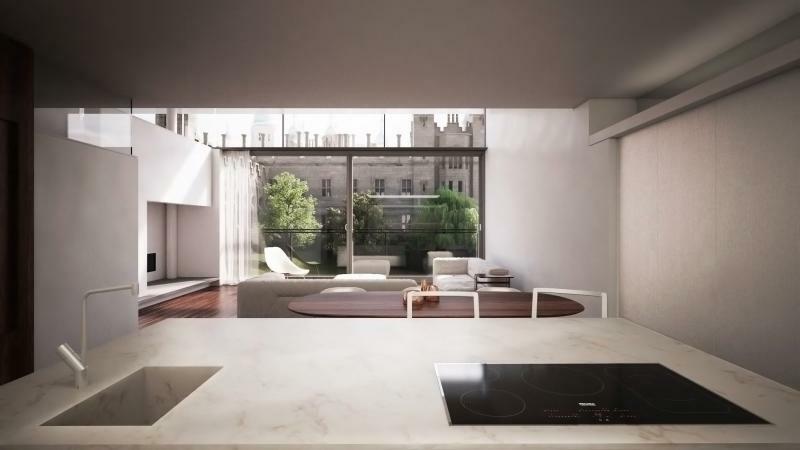 These are two projects within one; the redevelopment of the historic Playfair school for residential developers City and Country, and the creation of 84 new apartments for CALA Homes along the north side of the site. We are now progressing the detailed design and construction information for both parts of the site with a view to a formal start on site later this year. City and Country are anticipating an initial sales launch in the Autumn. Our proposals for the conversion of Thomas Hamilton’s former Royal High School into a music school for St Mary's Music School are due to be considered by Edinburgh City Council's planning committee in May. We believe the proposals have attracted over 500 letters of support. 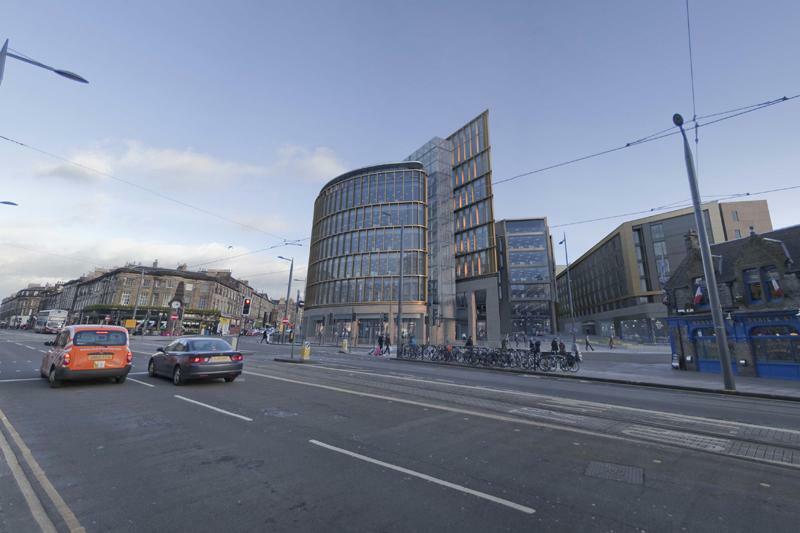 We have recently submitted an amendment to our Haymarket planning scheme. The submission incorporates façade changes to our H5 building along with minor amendments to the other buildings in the development. A £3.3m extension to our Theatre and Creative Enterprise building in Caernarfon has been submitted for planning permission. The project consists of two cinemas and a new entrance, and all being well the project is anticipated to start on site in November 2016. The South block is scheduled to be complete in May 2016 and the North block in June 2016. 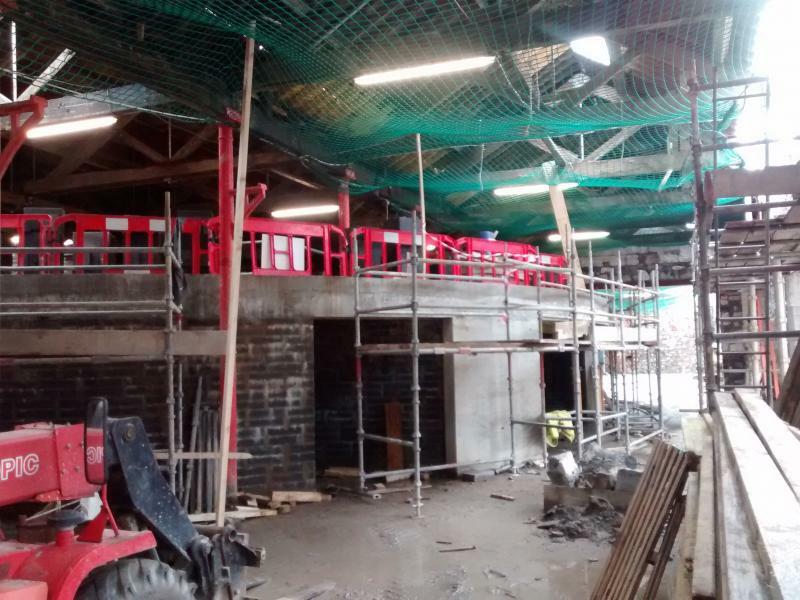 Works at the South block are progressing well with internal second fixes and fitting out taking place. The North block external envelope and internal first fixes are scheduled to be complete imminently and the external site works are progressing rapidly. 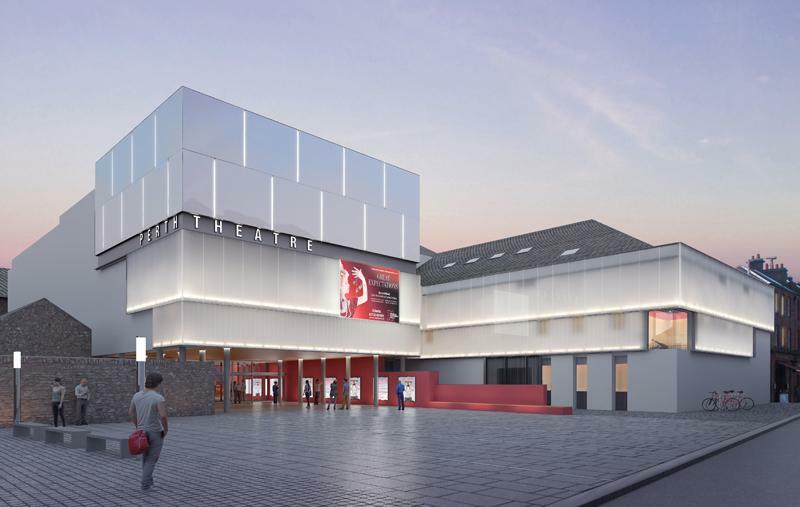 Work has begun on the £16.6m project for the renovation and extension of Perth Theatre. 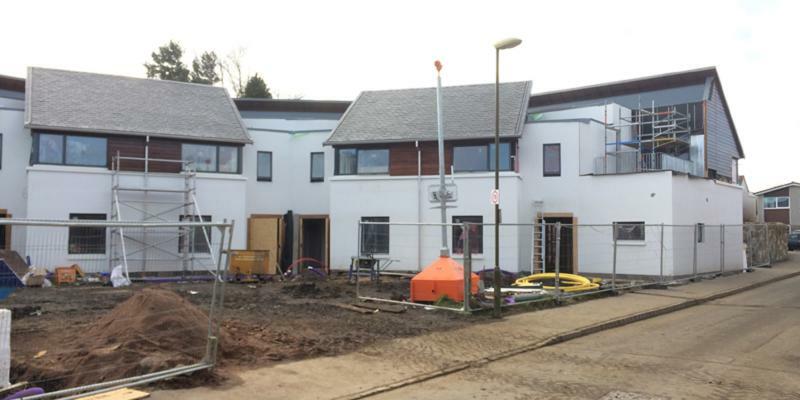 Robertson Construction Group is the contractor, Perth and Kinross Council is the client and the finished building will be run by Horsecross Arts Ltd. The project is expected to be complete by September 2017. The full extent of the new building can now be appreciated particularly from across the Abbey graveyard. Internally, the curved roof has been installed, and the proportions of the double height museum space can be imagined. 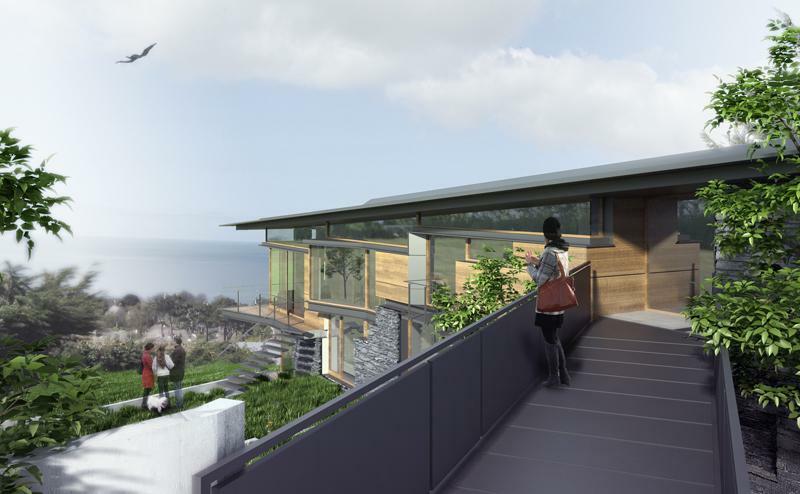 Construction is about to begin on a major new house design on a spectacular site in the exclusive area of outer Dublin, overlooking Dublin Bay in the Republic of Ireland. The house is being built by M&P Construction, and is expected to be complete by Spring 2017. Our joint project with Taylor Architects of Castlebar for a new music and drama centre at National University of Ireland in Galway is progressing. The picture shows the exterior of the circular auditorium within the historic industrial building. 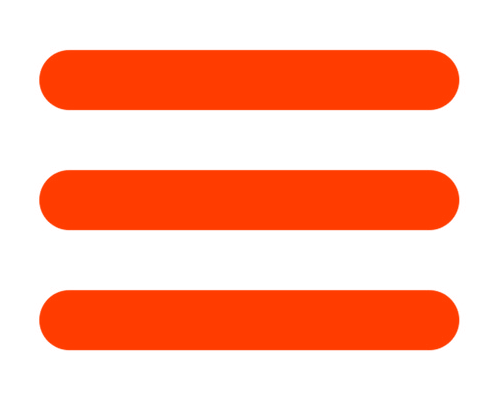 The project is expected to be complete in early 2017. The Rugby Pavilion for Edinburgh Academy is due to be handed over in the next two weeks to allow the Academy to start using the facilities after the Easter break and in time for the summer sports season. Eight new changing rooms and ancillary rooms have been fitted into the refurbished and renovated existing pavilion and a new rear extension. Richard lectured to the Robert Gordon University on the work of Carlo Scarpa in February and later that month delivered the keynote lecture about the practice’s work to the National Conference of the Sri Lanka Institute of Architects in Colombo. He also spoke in February at the RICS Annual CPD Day in Perth – the conference focuses on Scotland’s land, property and built environment sectors and Richard spoke about the Haymarket project. At the invitation of the RIBA President, Jane Duncan, Richard spoke to the RIBA Council during their recent visit to Edinburgh at a dinner held in the Scottish National Portrait Gallery. Afterwards most of the Council decamped to Hart St for a whisky or two. Richard was a speaker at the Prince’s Regeneration Trust “Brick” Workshop 20 in our own building, the Stirling Tolbooth, on Wednesday 30th March and was speaking on the subject of creative options for the re-use of historic buildings. Brick is an education programme aimed at community groups looking to start or progress heritage regeneration projects. On 15th February James Mason gave a talk to the Cambridge Forum for the Construction Industry about the Anglia Ruskin University Young Street campus in the recently completed auditorium. This was followed by a tour around the campus in association with J Shoolbred of Anglia Ruskin University and the contractor, RG Carter. Richard will be speaking at Edinburgh Science Festival on Wednesday 6th April – the theme of the event is “Healthy Happy Cities”. 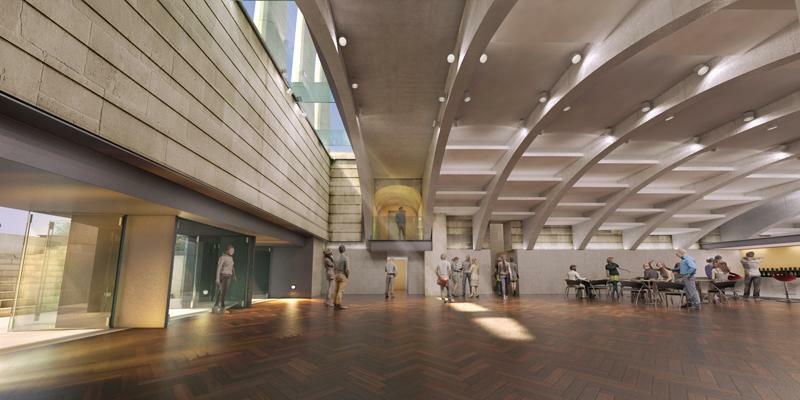 He is hosting the first of the Royal Scottish Academy “Architects’ Conversations” with Paul Williams of Stanton Williams Architects to be held at the National Museum of Scotland, Chambers Street on Tuesday 26th April. Tickets (price Adult £6/Concession £5 can be booked online from http://www.nms.ac.uk/national-museum-of-scotland/whats-on/richard-murphy/ or by telephone 0300 123 6789. A link here gives details of other conversations http://www.nms.ac.uk/national-museum-of-scotland/whats-on/architects-in-conversation/ . The series is an RSA/NMS contribution to the RIAS Festival of Architecture. The Royal Scottish Academy’s major contribution to the Festival is their Annual Exhibition “Home” which runs from 16th April – 25th May. Each architect academician has a wall in the gallery and is encouraged to invite a guest. Our guest is the retired architect Peter Aldington (formerly of Aldington Craig and Collinge). 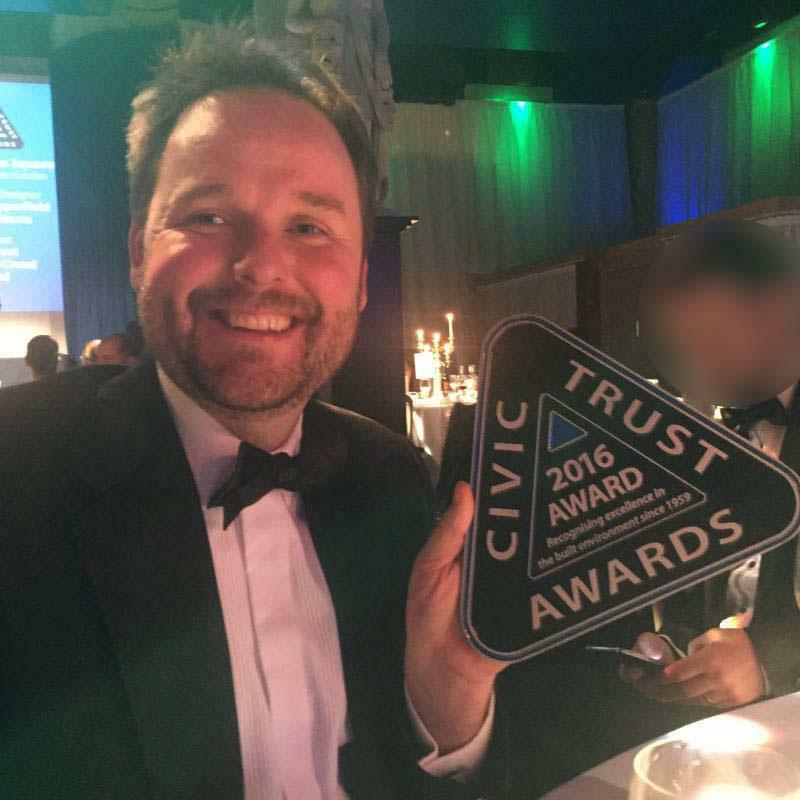 Following on from the Saltire Society’s Award for the Best New House in Scotland 2015, we are pleased to report that the Civic Trust has awarded the same project, Richard's own house at Hart Street, a National Award. In addition, the RIBA has shortlisted Hart Street for an RIBA National Award and the Edinburgh Architectural Association has also shortlisted it for their “Building of the Year" Award, together with our Hockey Pavilion at the Edinburgh Academy, which has also been shortlisted in the EAA Wood Award category. Our new Café at the British Golf Museum in St Andrews was a regional award winner in the Civic Trust Awards and it has also been shortlisted for an RIBA/RIAS Award. Meanwhile the Young Street Campus for Anglia Ruskin University in Cambridge has been shortlisted for the Best New Educational Building by the Cambridge Forum for the Construction Industry. Perth Theatre’s start on site has been reported in the Perth Courier. Gary Bushnell, Chief Executive of the project development company, hub East Central Scotland said – “It is great to see work getting under way on site and we look forward to handing over a high quality state of the art building in 2017, which will continue to play such an important role in Perth’s cultural programmes”. Richard wrote a six page review of BDP's new Children’s Hospital at Alder Hey, Liverpool in the February edition of “Architecture Today”. Gareth Jones looking very pleased with himself as well he might! Gareth drew every one of the very many drawings for Hart Street and was thrilled to be on the stage at the Globe Theatre in London to receive the Civic Trust Award. It was one of only fourteen given throughout the UK, and one of only three in Scotland.